As summer reaches its peak, I have been reminded that to stay cool it is best to keep moving. It is easy to get caught indoors enjoying air conditioning when it is so hot outside, but the real trick to beating the heat is to get outside and move (and make sure to drink LOTS of water!) If you're standing still, the heat can be unbearable, but if you move, the wind blows across your skin and cools you off. Here is a list of my favorite places to ride that are close to home so I can save on gas and get the most ride-time with the least drive-time. Sope Creek / Cochran Shoals: Whether you have a hybrid or mountain bike, there is something for you here. It is accessed by Paper Mill Road, Johnson Ferry, or Powers Ferry in Marietta, at the edge of I-285.This is where I began mountain biking many many years ago when the trails were very different. There is a large loop along the river for flat, easy cruising on a smooth, crushed gravel path, and you can take the main mountain bike / hiking trail up, up, and up to Sibley Pond at Paper Mill Road where the paper mill ruins are. I would rate the mountain bike trail as moderate difficulty as there are not many technical parts to the trail other than the steepness of the climbs. Years ago, there were different sections of very raw trail that were rated “Downhill” or “black diamond” for their rockiness and long downhill runs, although they were not very steep they could be quite fast. The gravel loop at the bottom is almost totally flat with only a single hump of maybe 10' of elevation and is perfectly suited for the complete beginner trying to get into basic fitness in a safe environment. Stone Mountain PATH: This makes up a large part of my commute from south Atlanta. I pick it up in Avondale Estates on my road bike and ride it all the way to Idlewood at East Ponce. 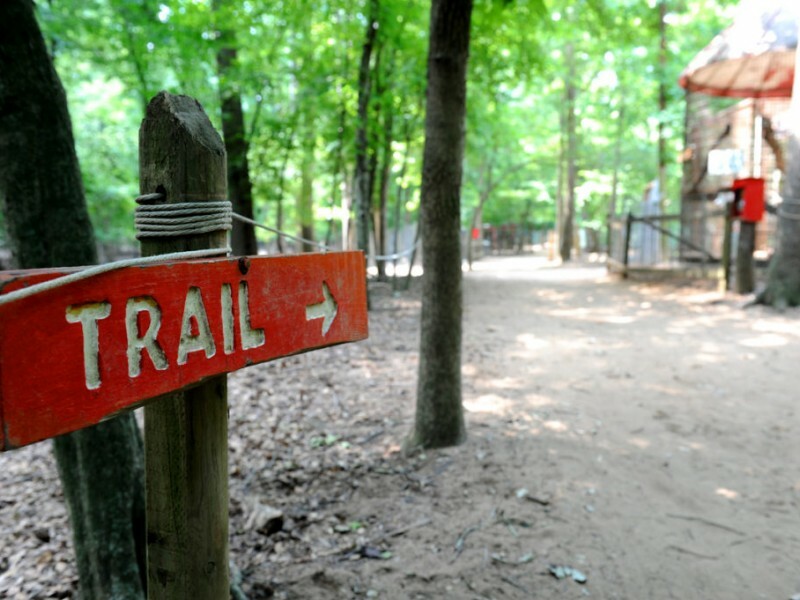 The Stone Mountain Path can get you all the way from Stone Mountain itself, through Decatur and onto the Freedom Park Trail and BeltLine in Atlanta. It's pretty awesome to be able to take bike paths from one city to another with very little time spent on the road. There is no particular parking or park associated with this trail. I recommend riding your bike there, or parking in an adjacent neighborhood. Henderson Park: This mountain bike trail is closest to the shop and a fun jaunt for steep, rough downhills without a long climb to earn them. The network is fairly small but is great because you can mix up a bunch of different, short loops and work certain sections over and over to find the perfect line. There is a LOT of technical rocks and roots as well as a few stream crossings. I have personally taken a bath in the large crossing on a hot day, although it was not on my bi-monthly shower day. I rate these trails as difficult, although a beginner should not shy away from them, but rather use caution and control your pace down the hills as the obstacles appear quite quickly and can be quite steep. Blankets Creek: Take a trip up 575 every once in a while. You will not regret it. 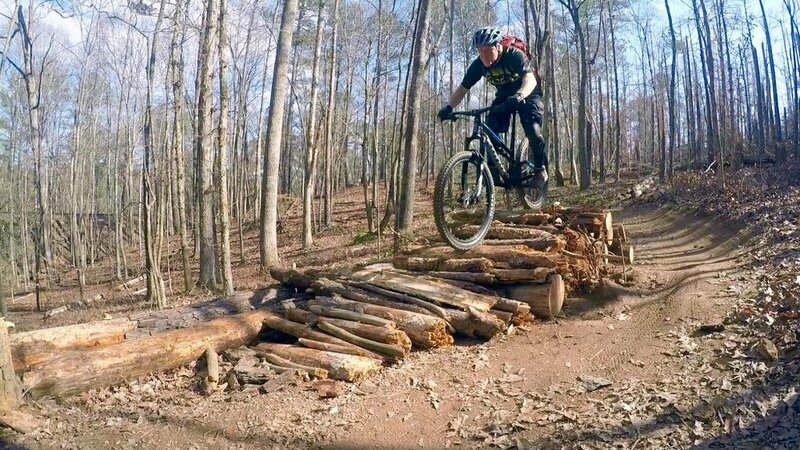 Probably the best flowing mountain bike trail system in metro Atlanta. Rope Mill: Right down the road from Blankets Creek, you get trail packed a little more tightly but with more rollers, whoops, and jumps built into the trail. Very fun. Cochran Mill: Last I was here, a hurricane had just come through and really messed the place up. There were tons of trees down in one area, but the trails were still very fun and there is a lot of mileage available for a long day out. 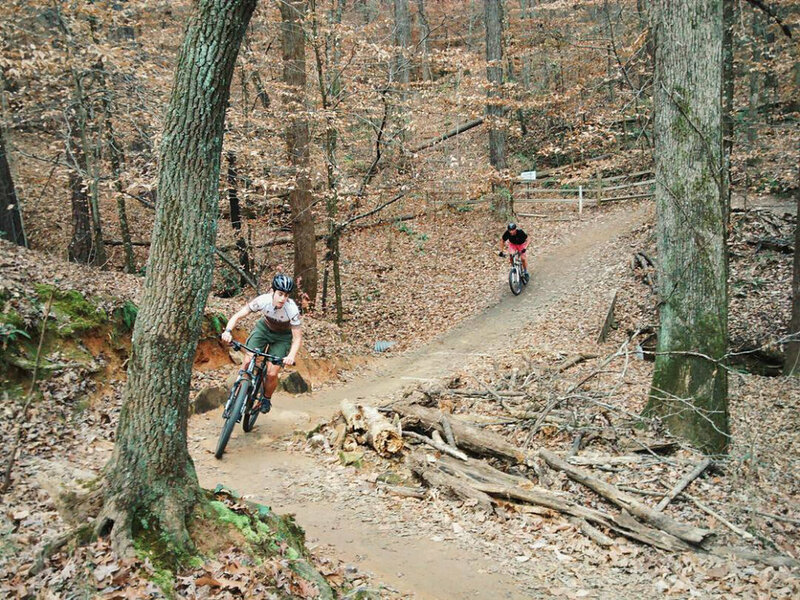 Yellow River: Just east of Stone Mountain, these mountain bike trails are pretty fun and flowing, with a few technical features but nothing too intense. Big Creek: This is a story of community putting in the work to turn a large “unused” piece of property into a great place for families and people of all types to get out and exercise, explore the outdoors, see wildlife, and get away from traffic. 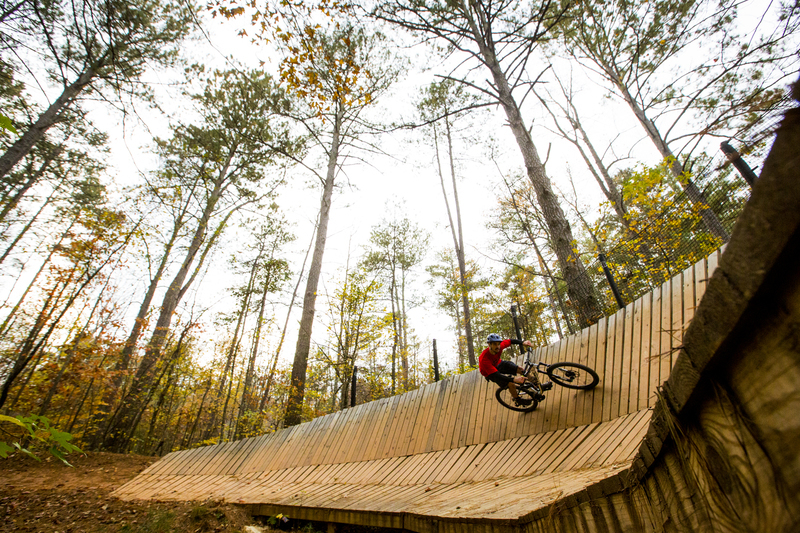 Big Creek is the home of the Big Creek Greenway, a paved bike and pedestrian path through the woods of Roswell and Alpharetta, as well as a large network of beginner and advanced cross-country, downhill, freeride, and dirt jump mountain bike trails. 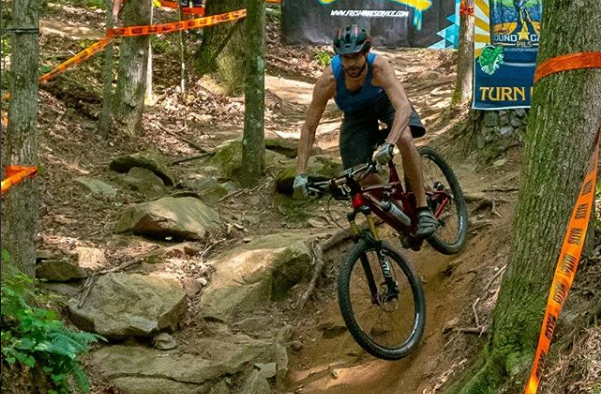 Big Creek did not used to be a park, but rather was a renegade group of trail builders creating in the woods what they needed to develop their riding skills for national level downhill competition. This is not talked about much in the history of the trails, but a lot of great trails have begun from illegal efforts on both public and private land that has not been developed. 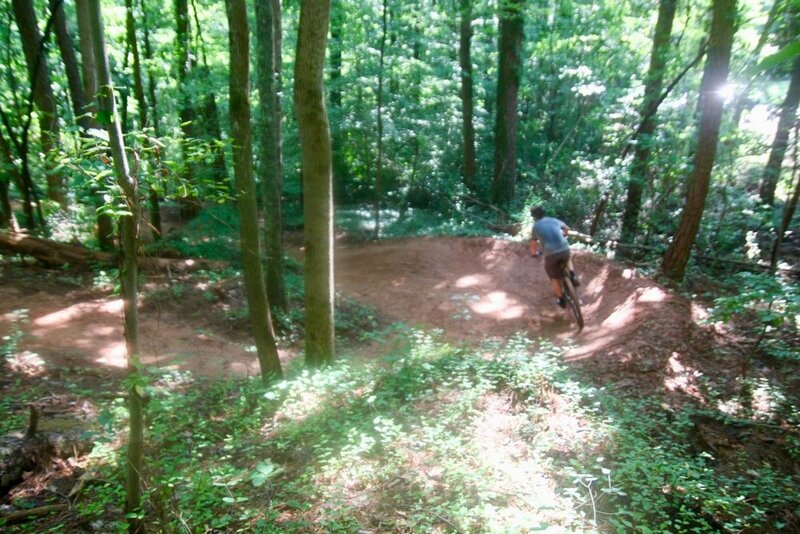 The mountain bike community worked together to convince the city to make Big Creek a public park and was then allowed to develop more trails for more general use while still making downhill type trails. The paving of the Big Creek Greenway encouraged people to ride their bikes new places, and I even had one customer lose 100 pounds while commuting by bike on the Greenway. The Greenway served as a large stretch of my commute from Marietta to Alpharetta in a previous life, and paired with the bike path along Riverside and Old Alabama, I had 8 miles of bike path and trail to make my 20 mile commute by bike much less stressful. Snackpack logged several hundred miles in the basket of my bicycle using those paths. When I worked in Roswell, I was less than one mile from the trails. I would ride my mountain bike there nearly every day after work before I went home. I was in great shape, I made new friends all the time, and I never felt uncomfortable riding there alone because they were near neighborhoods and were very popular. They have since added even more trail than in the days I frequented them. The trails are very well kept and have good signage to find your way through the network. The beginner trail is long enough to allow a newer rider to venture out but never too difficult that they can't get back. The intermediate trails add in more rocks, and the advanced trails get much steeper and rockier with long stretches out to the freeride area where the trails get big jumps, berms, dropoffs, and massive rocks. I cannot recommend this trail system enough, but more importantly, for people to get behind their local trails whether they are public parks or not. Where will we learn to respect nature if everywhere we go is paved? There they are. My top 10 trails near Tucker to try. RUSH ORDER 2 Day Delivery Request: custom purple mountain bike, must be 10 speed, no logos or markings, size medium, a large cushy black saddle. There was never a mention of who the bike was for, just "a show." I thought maybe for a TV show. When I asked for whom, the company replied, "an artist." I had only a little interest in who the artist may have been, but I was more interested in completing the project to their satisfaction since there was a significant fee to apply for our guarantee to have the project completed by the specified date. I started researching the company requesting the bike, and I saw they put on concerts for pretty big names, Prince being the biggest one, and all the tickets for that show listed as sold out. I didn't look at the dates very closely, but just if there was something I wanted to see. There wasn't. I figured as part of a negotiation with an entertainment company I should get a pair of tickets to something exclusive in addition to my normal fee , since they were asking so much of my company to deliver a custom painted bike in just 2 days time, and tickets are their business. So I asked for two pairs of tickets to the sold out Prince concert. I am not a big Prince fan, but there are a few songs I like in addition to when he does the squeaky voice. More than that, I knew the tickets were highly valuable and thought that I could either sell them or go, depending on how I felt or what I could get for them. I did not even realize the Prince show was coming in two days (I thought it was a month away), or I would have negotiated for backstage passes plus a mandatory delivery to my potential client! Upon coming to an agreement with the entertainment company in regards to our fees, the agent commended my puzzle solving abilities in selecting the impossible to get Prince tickets as part of our deal, but truly it was just selfish coincidence. I delivered the bike to the Fox Theatre, but I was informed that Prince would not be there until the evening, and I assumed as much beforehand. I went to work with his assistants setting the seat height according to the person who has sized multiple bikes for him before. We ended up hacking the seatpost of his new GT Zaskar and another unlabeled bike in the basement rigging room with a Sawzall so they would go low enough. I showed the agent and staff the final product ready for its rider, received my payment, and was told where I could pick up my tickets. That was it. No personal presentation, no handshake with a happy rider, no real thrill for a new customer. Just a production company receiving one of their artists very specific requests, satisfied. Granted, the help was very pleased and impressed with the bike, but it was not for them. I am grateful to all of my customers for the work they provide my staff and the money that comes with it, but the most gratifying part of the job does not generally come at the point of payment. Rather, it is when you can present your customer with the special project that you made just for them that the job is truly complete. I hate to say that with a big superstar like Prince, we were resigned to work with his helper and someone who has fit multiple bicycles for him as he tours, but I feel with projects like this, we too can be the superstars for our customers when they have special demands. I did have a personal question about music I wanted to ask him, and I regret that I could not meet such an inspirational person to so many others. Moreso, however, I regret that we did not meet so I could tell him how much his business means to my staff, and how happy we were to be able to put together a custom project for him. Kent did an excellent job on the powder and spent a ton of extra time in the shop preparing this bike while Haegan, David, and Lawrence made sure that everything else in the shop was running smoothly and according to schedule. Despite not getting to meet Prince about his new bicycle, Jane and I did enjoy our excellent seats at the show watching him perform, and we both left as fans. Many of the songs he played on piano were far better than their studio counterparts, in my opinion, and I even found a few new ones I hadn't heard that I like. It's funny how you don't have to meet someone for them to make a difference in your life and in your perspective. Thanks for the work, and the tickets, Prince. Rest in peace. This past October I was very fortunate to have been sent to Jamaica by my lawyer, Clay Parks, to help out with a non-profit organization that he is involved with. 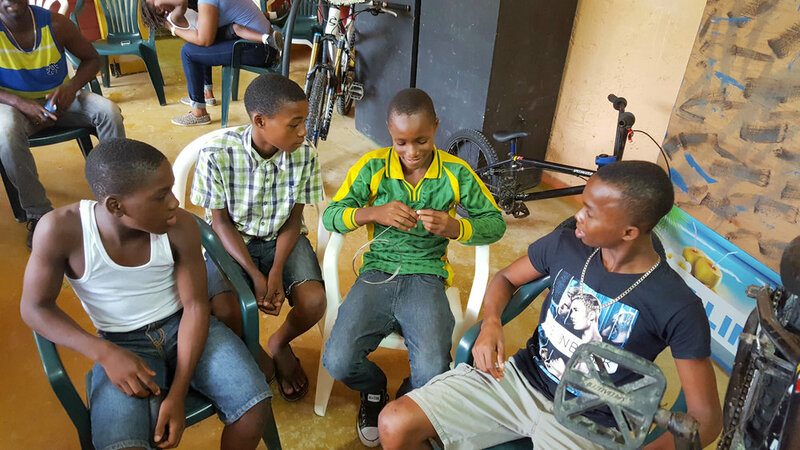 There is a whole lot of backstory on how a bike mechanic ends up in Jamaica teaching people how to work on bikes, but the important part here is that I got to go to Jamaica to teach people how to work on bikes! It was an awesome trip, but as it was mostly work, believe it or not, there was only a little ride time. We brought a shop's worth of tools and supplies like cables, housing, tubes, tires, patches, chains, etc, to keep the bikes maintained, as they are setting up a community bike shop. 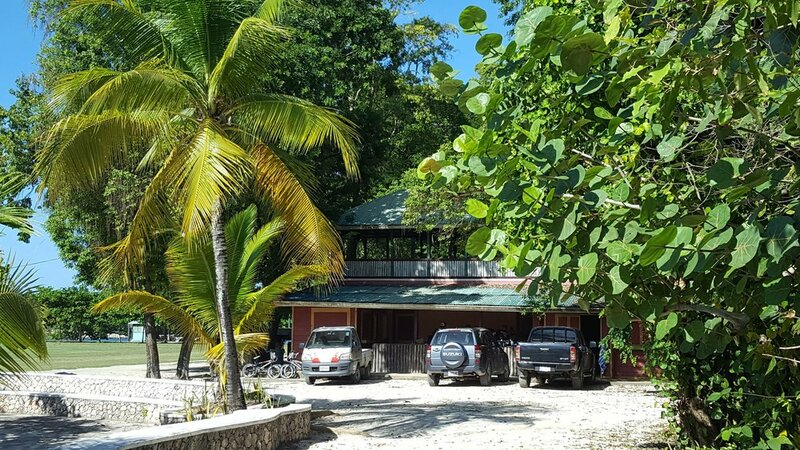 Common things like tubes and tires that we are used to being able to buy almost anywhere are actually quite scarce in Jamaica. The locals go much further to fix things and keep them running than in the U.S. because replacements may not be available at all or any time soon. Introductions by Jonathan Gosse, Executive Director of the Oracabessa Foundation. He helped create the Two Wheels, One Love program in 2015, which aims at fostering young cyclists by building community around BMX competition, cooperation and love for the sport. Getting into the gears and hubs. Tough conditions to teach under. Learning how to wash a bike. Sanchez, the program's main mentor and instructor, and a Braves fan. Learning the differences between shifter and brake cables. Last day of teaching led us to the bmx track for a few laps. They didn't know this whiteboy was familiar with bmx. This was a very fun trip for Jane and me. Clay took us through the Blue Mountains to get to Kingston for our flight home which was a very scenic drive. Visit the websites for more information about the Oracabessa Foundation and Two Wheels, One Love. The view from Cafe Blue, home of Jamaica Blue Mountain Coffee, one of the finest, scarcest, most expensive coffee in the world. What's the best way to get the most out of your cycling? Logging miles, maintaining a healthy nutrition plan and following a training program are good, but above everything else is having people to ride with. Whether you are a seasoned racer or a complete beginner, there is nothing better than riding with like-minded cyclists to develop your skills and challenge yourself. So if you love cycling, why go at it alone? We're looking for fun-loving, dedicated, and supportive riders who are itching to join a local club team that offers many benefits. We encourage racing, but you do not have to race to be part of the team. Everyone is welcome! Our Mission is to provide an atmosphere that is inclusive, supportive, with a potential to grow and create awareness for the sport, community and Team Snyder Cycles. We look forward to making a lasting impact together! Dues for the 2017 Season is $300 for adults and $150 for junior riders, and covers all the benefits and perks listed above. Please submit your information below to register for membership to Team Snyder Cycles. Deadline for kit orders and payment is on the night of our first mandatory meeting, held on Tuesday February 21st, 2017 at 7:30-8:30 P.M at Snyder Cycles in Tucker. Registration for Membership is now Closed. I'm sticking with what I'm good at. Your application for Team Snyder Cycles has been sent. Thank you for showing interest in joining the team! Please expect to hear from us soon. And please plan to attend the mandatory first meeting on Tuesday February 21, 2017 at 7:30-8:30pm at Snyder Cycles in Tucker. We will collect payment, take size orders for kits, and review details then. If you have any questions/comments in the meantime, stop by the shop, call or email us.